Year-in and year-out, Intel always touts the power-savings it achieves with new processor families. 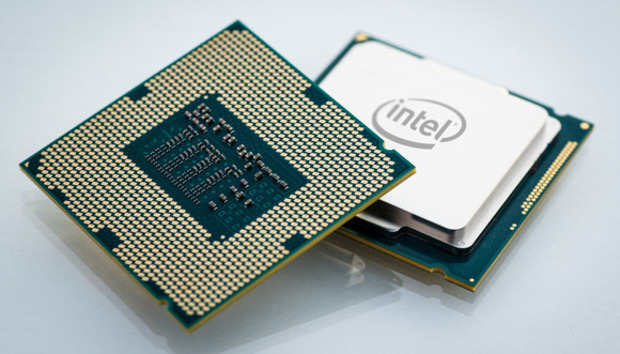 Skylake is more efficient than Broadwell; Broadwell was more efficient than Haswell. In the future, however, Intel’s desire to create low-power chips, mixed with the industry reaching the limits of silicon transistors, may mean sacrificing absolute processing power in the name of energy efficiency—at least at first. The notion of Intel putting power efficiency before performance comes from William Holt, the company’s technology and manufacturing chief, as reported by Extreme Tech and MIT's Technology Review. Holt was prognosticating about the future of silicon during the International Solid-State Circuits Conference last week. Why this matters: Intel’s potential focus on power consumption is a sign of the current technology landscape. As Extreme Tech points out, the major focus for processors is putting more performance inside smaller and smaller chips. Now, however, those chips need to be increasingly energy efficient to extend the uptime of smartphones, laptops, and the coming horde of battery-powered smart home devices. On top of that, data centers powering cloud-based services like digital assistants, file storage, and media streaming all require increasingly energy efficient processors. “The carbon footprint of data centers...is growing at an alarming rate. And the chips needed to connect many more household, commercial, and industrial objects...will need to draw as little power as possible to be viable,” Holt said. An underlying reason we may see a reduction in pure performance in the name of energy savings is the adoption of new materials at the transistor and circuit levels. The processes we've used to create and improve silicon chips for decades are slowing dramatically as transistors become almost infinitesimally small. Right now, most processors are based on Complementary Metal Oxide Semiconductor (CMOS) integrated circuit designs. Bigger energy savings, however, would come from other technologies that, as it stands right now, would mean slower circuits, as reported by EETimes. When that shift would happen is unclear. EETimes says Intel plans to “stretch CMOS as far as possible,” and then blend newer techniques with CMOS to create hybrid designs. ExtremeTech’s report places the shift happening sometime after 2021. Intel isn’t the only company putting a big focus on energy efficiency. In mid-2014, AMD said it planned to make its Accelerated Processing Units 25 times more power-efficient by 2020—but AMD’s announced plan for APUs wasn’t about looking at new technologies for transistors and circuits. Instead, AMD talked about rethinking current designs by distributing the workload between an APU’s CPU and GPU, as well as improvements to overall power management.